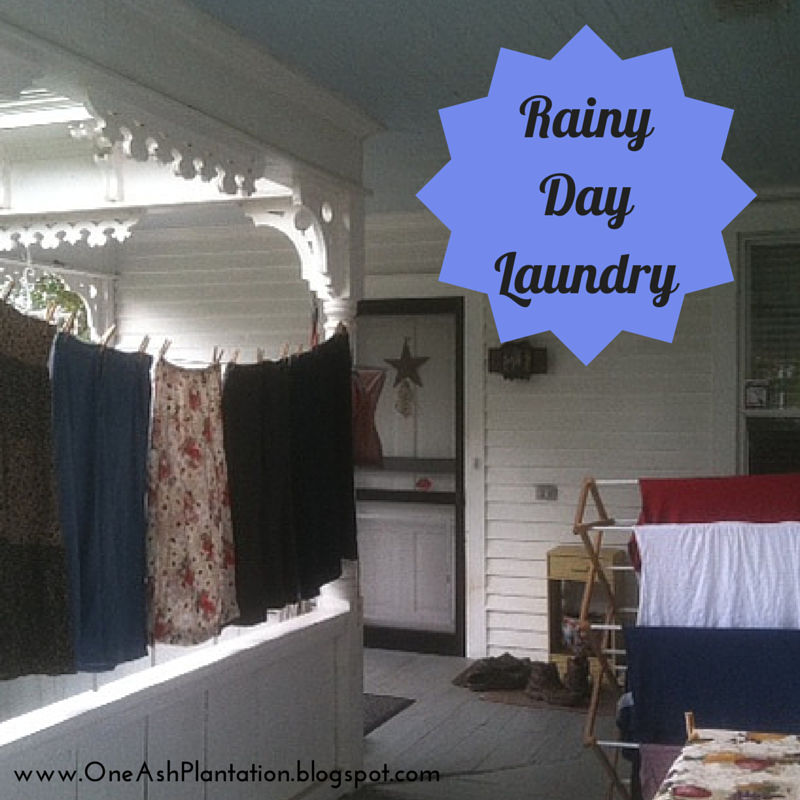 Do you hang out your laundry on a rainy day? Well, if you are like me, your schedule is tight, and there are only a few times in your week that you can get laundry done. That was me this week! Monday is really the only time I can get those piles of laundry done, and guess what this week? Rain and clouds! But, out went the laundry anyway. I’m very blessed to have a porch, a line somewhat under cover there, and a great drying rack that I am certain I could never live without. I will just wait for the sun to come out, and the humidity to go away. The way I see it, the laundry is clean, and it will dry eventually, right? Hope you are having a good beginning of the week- and that your laundry is drying!